I LOVE working out from home! When I was younger, I had a problem working out at home; I felt like I had no motivation to do it when I could sit on the couch instead! I mean, Hello! Why would I work out when I can watch t.v.? Beachbody has given me the motivation to work out with a DVD at home, and my 2-year old daughter LOVES trying to work out with me. It’s so cute when she tries to do “tree pose” or “downward facing dog” from 21-day fix yoga, or when she puts her shoes on too to stomp around with me doing t25. #1 TIP: Get a workout program that you LOVE and will stick to! I’m currently doing t25 and 21-day fix workouts! I love the dvd’s and love the celebrity trainers leading me! Thanks Beachbody for giving me the motivation to work out from home, and not leave my daughter to go to the gym. It makes me feel like I’m not being as selfish by spending more time away from her! I also feel that I’m setting an example for my daughter to live a healthy lifestyle, and that it’s not okay to just lay on the couch all day watching t.v.! Need a new workout? Order yours here! Why Retail Managers Make Perfect Beachbody Coaches! 1. Retail managers LOVE people! They work with the public every day, so they have to like people. 2. Retail managers can sell. They have been trained to sling products and to build a solid clientele. 3. Retail managers have a lot of contacts. Retail managers know EVERYBODY in the mall or shopping center, and they see these people daily. 4. Retail managers are used to training new staff members on a daily basis, as well as providing ongoing mentoring and evaluation. 5. Retail managers know how to build a team; they recruit people who have the skills they need, or that they themselves don’t have. 6. Retail managers are always on the lookout for the best and brightest in their networks! They are connectors, connecting the right people with the right opportunities. 7. Retail managers can recognize that character is more important than skill. Skill can always be trained. 8. Retail managers know how to delegate. They realize that even if they want to do everything themselves, it won’t help them and it won’t help their team to not delegate. 9. Retail managers have learned how to wear many hats. They are used to being the sales person, the manager, the janitor, the cheerleader, the boss, and the host of the party, each day! 10. Retail managers know how to remain calm in a challenging situation, while still maintaining their composure and professionalism. 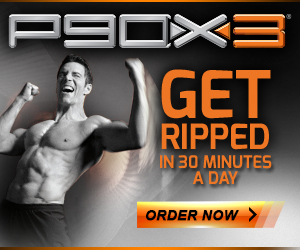 This video contains everything you need to know about P90X3! If you have any further questions, just contact me. I am an authorized retailer of the program and will provide FREE coaching with your purchase! Have you ever wondered about becoming a Beachbody Coach? Do you like to help people, and want to get fit? I would love to have you on my team! I have a passion for helping people achieve their goals and get in the best shape of their lives! Does this sound like you? Click here to sign up.